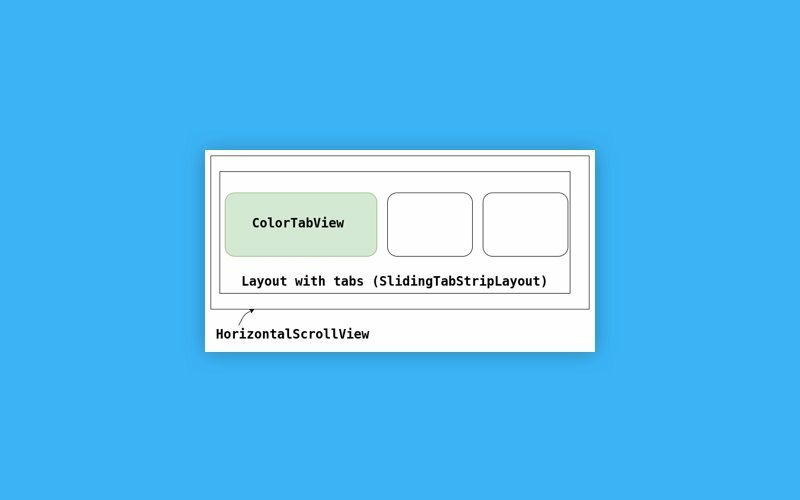 Check out our brand new Color Tabs Animation for Android and feel free to grab some code inside the article. 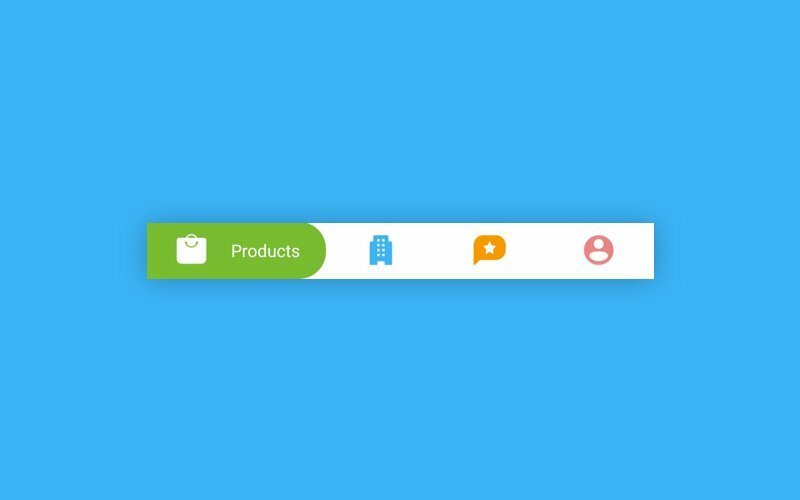 We have a lot of different recommended design patterns for Android development including embedded navigation, tabs, bottom navigation bar, navigation drawer, nested navigation, expanding navigation drawer, and gestural navigation. But sometimes we want to make ordinary things a bit special. That's why we worked hard on implementing our Color Tabs animation on Android. The architecture of the ColorTabView is more difficult than it appears. We had to make it scalable and the architecture could be independent of the tab count. We chose HorizontalScrollView as a solution to this problem, and chose TabLayout as the template for this animation. Based on this concept, the selected tab should be bigger than unselected tabs and should contain an icon and text. To implement this feature, we calculated the measurements for all layouts. We needed to move the rectangle that’s behind the selected tab from one tab to the next. To solve this problem, we drew the background in SlidingTabStripLayout instead of in ColorTabView. To draw the background for the selected tab, we used Canvas and drew the background only for the selected child. 1. Create easing functions that draw the cubic bezier curve you require. 2. Create interpolators with just control points using PathInterpolatorCompat. The second method was more suited to our purposes. We calculated the first and second control point of the cubic Bezier and passed it to the create() method of PathInterpolatorCompat. - For unselected tabs, icons will be the same color as their backgrounds when selected. The ArcMenu elements are circles drawn with Canvas. We redrew the icons from the ColorTabView to circles for the ArcMenu with the .draw(canvas) method. To transpose icons from ColorTabView to the ArcMenu, we calculated bounds and assigned those bounds to the icons. It’s important to note that the ArcMenu doesn’t work as an independent element. A user needs to add this component to ColorMatchTabLayout. Also, this part of the animation works only with 3–5 tabs in ColorMatchTabLayout. With a different number of tabs, you get an InvalidNumberOfTabsException. We chose the Kotlin programming language as the tool for this job. Over the past year, we have published animations written in Kotlin. We love this language and love to please you with new animations written in it. In your onCreate() method, bind ColorMatchTabs and add it to tabs using the .addTab() method. If you use an OnPageChangeListener with your ViewPager, you should set ColorTabLayoutOnPageChangeListener(colorMatchTabLayout) in the ViewPager rather than on the pager directly. One of the most important feature of every custom view is the ability to customize its look as needed. By calling the following methods (or attributes), you can customize ColorMatchTabLayout as you need. You can find this ColorMatchTabLayout library and many more in our GitHub repository, and can check out our designs on Dribbble. 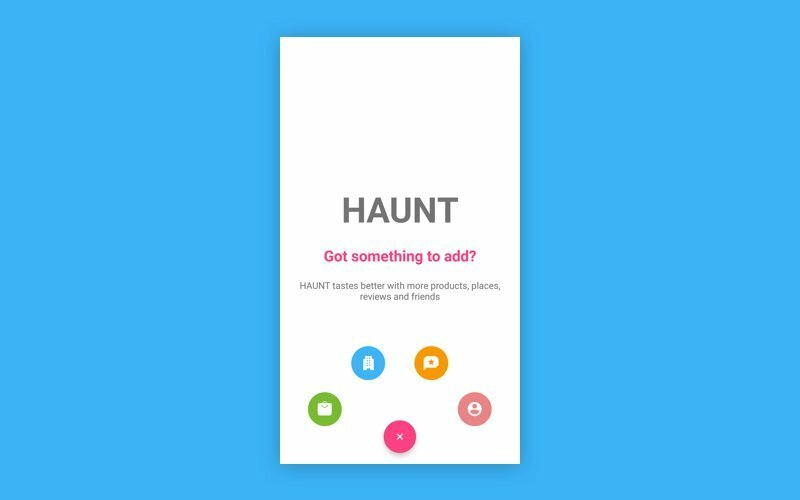 You can also get a cool demo of our component on the Google Play Store.